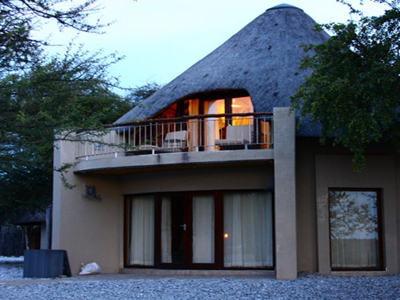 The oldest rest camp in the Etosha National Park and now a five-star world-class resort. 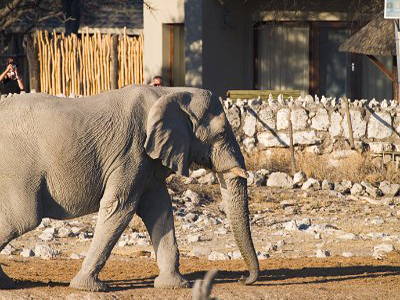 A visit to the Etosha National Park in Namibia will not be complete without staying at Okaukuejo Camp. Dating from 1957, this safari camp has been renovated and modernised without losing any of its game-viewing appeal. Okaukuejo is the administrative headquarters of the Park and also houses the Etosha Ecological Institute, which is tasked with conserving the wide variety of fauna and flora in this part of Namibia. Okaukuejo Camp is situated only 17km from Anderson Gate, the southern entrance to the Etosha National Park. Okaukuejo Camp is located 17 km from the southern entrance of the park, Anderson Gate. Guests are accommodated in 104 chalets and 26 campsites. The chalets are scattered throughout the camp and there is a chalet type for every taste. 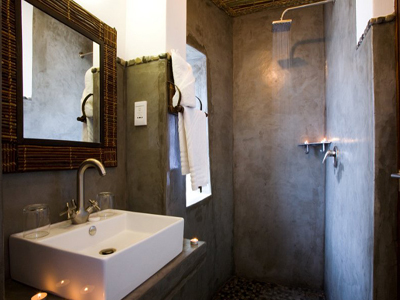 The 5 Premier Waterhole Chalets overlook the floodlit waterhole and offer luxury accommodation. Whereas the other chalet types are booked on a bed and breakfast basis, the Premier Chalets offer full board accommodation. The chalets are double-storied, with 2 en-suite bedrooms, balconies, lounge and private patio, fridge and tea/ coffee facilities. Okaukuejo Camp also offers 40 en-suite double rooms, as well as 2 chalets suited to people with disabilities. The campsites share 3 ablution blocks, 3 kitchens and each of the campsites has power points, water and braai facilities. The main attraction of the Okaukuejo Camp is the central floodlit waterhole. Here you can watch animals of all shapes and sizes coming to quench their thirst – starting from daybreak until night time. You will in all probability see elephant, lion and rhino drinking at the same time! The central part of the Camp houses the restaurant, bar, curio shop, pool and tourist shop where you can buy basic necessities. Okaukuejo is not only the most popular Etosha Rest Camp but it is the perfect place from where you can explore the rest of Namibia. Only a few hour's drive will take you to the Vingerklip rock formation where you can stay at the with its breath-taking views over the valley and the Vingerklip rock. You can reach Okaukuejo within a day's drive from the capital city Windhoek. 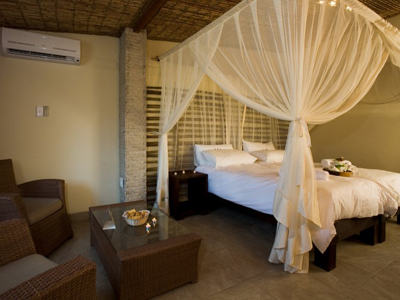 Windhoek accommodation offers a wide variety of hotels and self-catering accommodation. 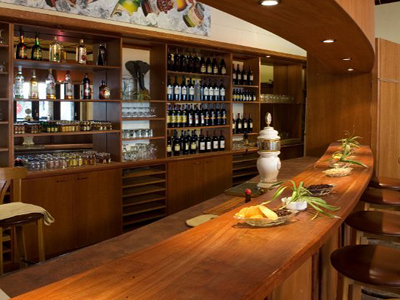 The Windhoek Country Club is however the best and only five-star hotel in the city. From Windhoek you can easily reach Sossusvlei Lodge near Sossusvlei which is about two days drive from Okaukuejo Rest Camp and Etosha. Your last destination in Namibia might be the very dry Ai-Ais Richtersveld National Park and the Ai-Ais Resort. If you plan a visit to Botswana after your stay at Etosha National Park we recommend that you drive north-east and cross the border at Shakawe. 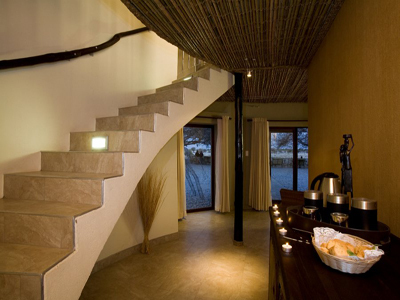 Stay a few nights at Drotsky Cabins before you depart to Island Safari Lodge near Maun. If you need to visit Francistown, the country's second largest city you can stay at Thapama Hotel in the city centre. People who drive from South Africa to Etosha National Park and Okaukuejo Rest Camp can overnight at Hakuna Matata Guesthouse in Koffiefontein or Gables Inn at Colesberg. If you plan a visit to the Garden Route the Misty Mountain Reserve near Tsitsikamma might be a perfect destination for you.